To register: Please email our DRE with your interest in the class. For information about the course, contact our DRE at (415) 453-2342 Ext. 20 or at dre@saintanselm.org with ” AFF Information” in the subject header. Join us as we strengthen our understanding and grow in wisdom! 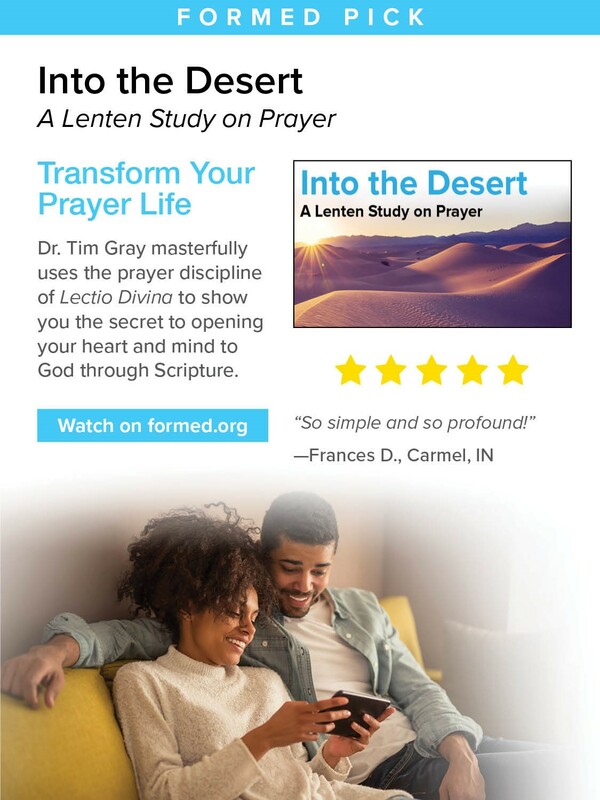 This semester our Adult Faith Formation class will be doing Augustine Institute’s study series, Into the Desert: A Lenten Study on Prayer. Come join us Thursday nights after the 5:30pm mass from 6pm-7:45pm in our parish hall. Start date, March 7th 2019. Since our faith formation session happens around dinner time. We will have an OPTIONAL dinner potluck from 6pm-6:30pm to break bread together. Feel free to add your dish, snack, or drink contribution (but not required). Actual lesson will begin at 6:30pm and end at 7:45pm. * Know a friend that would love to do this study, share with them the link above so they can do the study at home through FORMED. Adult Faith Formation classes are for all adults no matter of previous faith formation.